These Nutter Butter Turkeys are perfect for holiday parties and Thanksgiving feasts . They even make a cute gadget at each place setting on your beautiful Thanksgiving table. Just add these cute Thanksgiving name tags and you are all set. The best part is that they are easy peasy! So grab your cute apron and your kiddos and get busy. 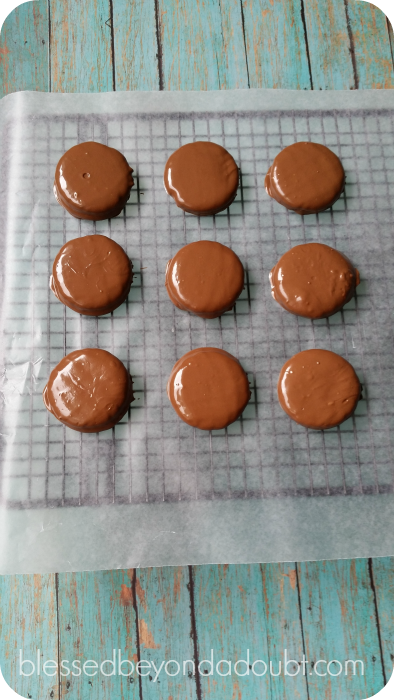 Prepare double boiler or melt chocolate according to directions. 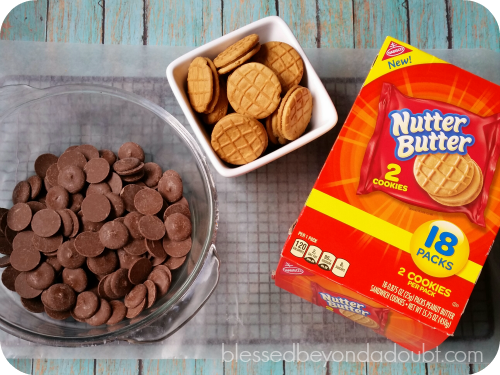 Dip cookies in chocolate and retrieve using a fork. 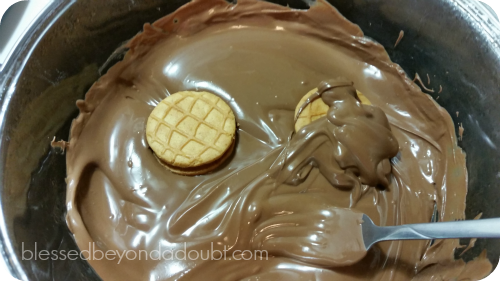 Gently tap fork on the edge of the bowl to remove excess chocolate, then place on waxed paper. 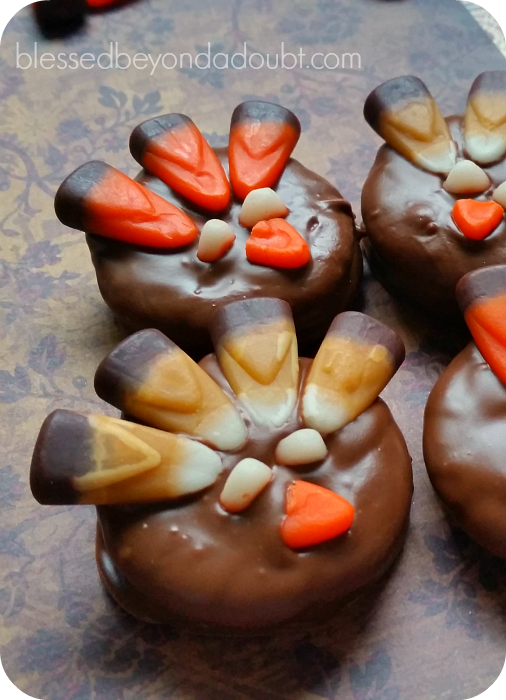 Before chocolate hardens, add 3-4 candy corn of choice for feathers. I broke the white tips off for eyes, and orange tips for the beak. Allow to harden, you’re done! 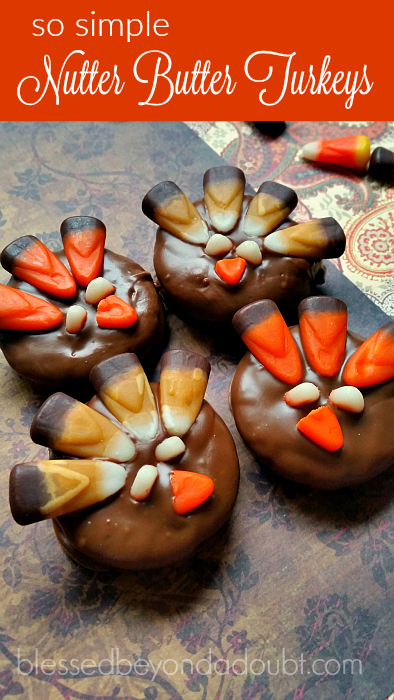 These Nutter Butter Turkeys are so simple, but so adorable! « How to Afford Essential Oils without Breaking the Bank!